This boxing helmet is constructed from commercial vinyl and heavy duty foam. This safety headgear is designed to protect the player's face and head when used with our boxing ring or gladiator joust inflatable games. The helmet is adjustable and one size fits most. 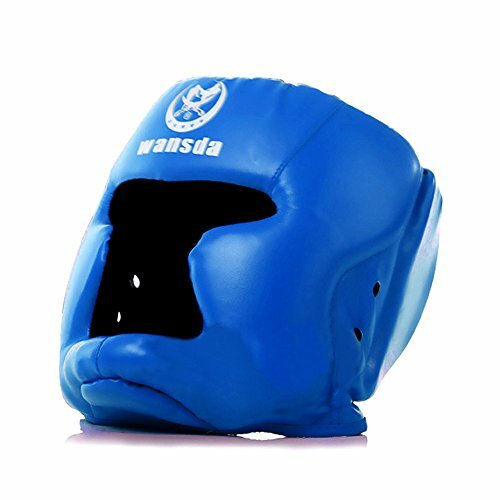 FIGHT EACH OTHER SAFELY - These boxing helmets are designed to be used with inflatable boxing rings or gladiator joust games and oversized giant boxing gloves to create the most fun while wailing on each other for amusement. Don't let yourself or your kids get hurt in the ring! If you have any questions about this product by TentandTable, contact us by completing and submitting the form below. If you are looking for a specif part number, please include it with your message.